Threat Environment: The report argues that the 2020 threat environment poses the following: the proliferation of weapons of mass destruction, the ambitions of international terrorists groups, the dependence and increased vulnerability of information systems, the increased competition over scarce natural resources, especially oil, demographic changes that could aggravate such global issues as poverty, hunger, illegal migration and pandemic disease. A further threat is identified as coming from climate change. North-Atlantic Area: The risk of conventional war in Europe has considerably diminished however threats and other security risks coming from the Balkans and the Caucasus region require “sustained international attentions”. Relations with the Russian Federation prove to be a thorny and complex issue for the Alliance. Although the document recognizes the importance of Russia for the security of Europe and its contribution in supporting the current campaign in Afghanistan it also notes the existing tensions between Moscow and NATO as well as a lack of consensus within the alliance on how to formulate policy in this respect. Russia still views NATO as a danger to its security and does not approve of the extension of the Alliance in its vicinity, while the newer NATO members view it with apprehension and concern, especially after the 2008 Georgia War. The Middle East: The authors of the report argue that this particular region affects the security of the Alliance in three ways: by being a hotbed of extremist violence, the persistence of Arab-Israeli conflict and Iran’s pursuit of weapons of mass destruction, especially nuclear weapons. The threat coming from Iran is three fold: apart from developing weapons of mass destruction, is stockpiling ballistic missiles and developing technology to block access to the Hormuz Strait (naval mines and anti-ship missiles) thus strangling the oil flow from the region. As such Iran is identified as a possible Article 5 threat for NATO. Asia-Pacific: Japan, Australia, China, India and the Republic of Korea are identified in the document as status-quo powers: “all view regional stability as in their interests and are generally supportive of international norms.” The main threats in this region derive from India-Pakistan rivalry and the policies of North Korea. Although the document mentions the North-Korean nuclear arsenal and program, it says that it just require “particular attention”. The document glosses over the rise in military spending in the region and the increased military capabilities of China. Furthermore the local rivalries between China, India, Japan and South Korea are not mentioned. Africa: Africa is not identified as a possible source of significant threats for the security of the Alliance. However it is expected that NATO states will conduct peace-keeping operations at the behest of local powers, as well as training and counter-terrorism activities. Some flashpoints on this continent should receive special attention: Sudan, the Democratic Republic of Congo and Somalia. The document does not mention specifically the threats of radical Islamism and piracy originating from the Horn of Africa. Although the document identifies as a feature of the future security system the competition for natural resources, Chinese forays into the African continent are not viewed as a potential future threat. Latin and South America: This region is viewed as being outside the scope of NATO and the primary international body responsible for this region is the Organization of American States. The only way in which NATO would be involved directly will be humanitarian assistance. The main security threat particular to this region is regarded as being transnational crime. However the dangers of state failure and roll back of democratic institutions are not mentioned. Greater Russian and Chinese economic presence as well as political support for regimes with dubious democratic credentials is not seen as a threat. As the Western Hemisphere is the direct responsibility of the United States, the Alliance’s lack of interest in the region is understandable. The main task of the alliance is to protect to deter and protect against military aggression its member states. This task should encompass threats that come not just from the proximity of the Euro-Atlantic area, but any part of the world. NATO must serve as the main venue for transatlantic consultations and crisis management for all threats, challenges and risks facing the Alliance. In order to perform this task NATO has to develop and improve its crisis management capabilities which include the capacity to identify and assess emerging risks, reassure member states, the capability to reassure member states and undertake crisis response operations “within, along and beyond its borders”. NATO’s fourth task according to the report should be enhancing the scope and management of partnerships. The report dedicates a rather long chapter to spelling out what should be NATO’s course on developing partnerships with nation- states and other international organizations. Partnerships are vital for NATO as they provide the alliance with reach and access in a wide range of regions around the world. NATO has started building the organizational infrastructure to manage and extract maxim value from current partnerships. The vision of this report concerning some partnerships is in some cases contradictory and over-optimistic. However most objectives laid down in the report seem to be achievable. Pragmatism and a commitment to the status quo seem to permeate the entire section dedicated to partnerships. The emphasis of supporting and creating a rule based international order seem rather too optimistic given the current circumstances. Partnerships with international organizations: EU, UN and OSCE. For obvious reasons developing a strengthened partnership with the EU is fundamental for European security. Since the ratification of the Lisbon treaty by EU member states there has been increasing talk of and independent European defense identity. As such the document recommends that the new strategic concept of NATO should make provisions for the development of EU military capabilities. Furthermore the threats facing both actors should not be categorized too strictly as being military or non-military in nature, as these issues develop along a continuum. EU and NATO leaders should agree on a framework of cooperation between military staffs, joint participation in meetings and extensive coordination with respect to crisis management, threat assessment and the sharing of assets. The future concept of the alliance should impress upon the leaders of NATO and the EU to do everything possible to prevent disagreements from affecting cooperation. The partnership with the UN is important for the alliance, as NATO has pledged to respect the UN Charter. NATO does not aim at replacing the UN, but merely to help it fulfill its responsibilities. If both organizations operate in the same area, NATO should provide security, if requested for UN civilian personnel. NATO and the UN should improve their institutional links by participating in each other’s training and exercise activities. Furthermore NATO should open a liaison office at the UN in order to allow Alliance leaders to engage with the Secretariat and other UN members. Coordination between the UN and NATO is crucial in cases of genocide, gross violations of human rights and humanitarian emergencies. The new Strategic Concept of NATO should make it clear the willingness of the Alliance to consider requests from the UN to take action in such circumstances. In this respect a clear framework for action should also be set up within the Strategic Concept. There is no mention of repeating the Kosovo experience of acting without the clear sanction of the UN Security Council. Concerning NATO’s partnership with the OSCE the Alliance should exploit the latter’s training resources and expert advice in soft security, as they complement NATO’s hard security capabilities. NATO should pursue under the existing framework of the OSCE conventional arms reductions and confidence building measures. The Alliance should also reflect upon the ways in which the OSCE can support its activities. Russia: Developing a constructive and effective partnership with Russia remains a thorny issue for NATO. Russia still views NATO as a danger and even a threat to its security and is deeply opposed to the Alliance extension process. Moreover there is no consensus within NATO as to how to treat Russia: for the United States Russia is a declining power, for older European members of NATO (France, Germany and Italy) Russia is an important trade partner and invaluable for the future of European security, while for newer members of NATO it represents a possible threat to their security. Russia’s help and cooperation in the Afghanistan campaign should also be given strong consideration. But it should also be noted that a victorious NATO in Afghanistan is not necessary in the interest of Russia. To further complicate matters Russia is actively trying to fragment and subvert NATO’s decision-making process using skillful diplomacy. 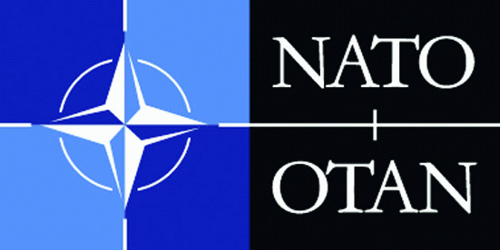 The report mentions as the cornerstones of the future Russia-NATO relationship the new Russian military doctrine, which is characterized as defensive and the commitment expressed jointly in the NATO-Russia Founding Act. However the report fails to mention that the same Russian military doctrine that is “strictly defensive” also considers NATO as a danger to Russia’s security. Furthermore despite the commitment expressed in the NATO-Russia Founding Act to create a Europe without dividing lines and spheres of influence, Russia’s strategic thinking has not surpassed the framework of the spheres of influence. The authors of the report make three recommendations concerning the partnership with Russia for the new Strategic Concept: the formulation of a policy that combines reassurance for all the members of the alliance while at the same begin a constructive re-engagement with Russia, the Strategic Concept should emphasize NATO’s desire for a better relationship with the Russian Federation based on shared interests, mutual confidence transparency and predictability and it should provide for an agenda of the NATO-Russia Council that “responds in a frank and forward-looking way to the security concerns of both sides, and that identifies specific areas for joint action.” The future Strategic Concept should tailor the partnership with Russia in such a manner that NATO is the one setting policy in this complex relationship. Partnerships with Georgia and Ukraine: Although NATO has pledged to maintain the open door policy for the possible accession of other states, it is clear that Georgia and Ukraine are not going to become NATO members any time soon. What the future Strategic Concept proposes for these two states is an enhanced partnership rather than accession. NATO should therefore monitor the security threats to these states, discuss mutual security concerns, foster cooperation on defense reform and other practical issues and use its crisis management mechanisms. The reasons why Ukraine and Georgia are not going to become members in the near future are: strong opposition from Russia, strong opposition from inside NATO (especially Germany), lack of consensus within Ukraine over NATO accession, ethnic and border issues, energy insecurity, underdeveloped democratic institutions and frozen conflicts. Partnerships in the Mediterranean and the Middle East: The Wider Middle East and the Mediterranean are strategically important for the security of Europe as it affects the Alliance interest in the following areas: nuclear non-proliferation, counter-terrorism, energy security and a peaceful international order. The blue-prints for cooperation are the Mediterranean Dialogue and Istanbul Cooperation Initiative. The report recommends that NATO should approach the countries of the Mediterranean and the Middle East with “strategic patience” and to pursue policies based on shared interests and broader concepts of security. Discussion on the possibility of Iran becoming a nuclear power should be frank and open. Furthermore NATO should support any peace agreement between Israel and the Palestinians. The last two tasks are vital to the stability of the Middle East and the security of Europe. Partners across the globe: As NATO remains the most successful politico-military alliance in history it has attracted the interest and cooperation of other states in the international system. NATO’s next Strategic Concept should make provisions for deeper partnerships with states outside the Euro-Atlantic area by expanding the list of shared activities and allowing for tailor made partnerships. NATO should give its partners a greater voice in shaping the Alliance’s strategy and decisions while undertaking on missions in which they contribute. The alliance should also develop more formal ties with the African Union, the Organization of American States, the Gulf Cooperation Council, the Shanghai Cooperation Organization, or the Collective Security Treaty Organization.” Cooperation with other global actors is seen as vital to maintenance of rule based international system, however the commitment of some actors to the current status quo should not be overestimated. The famous Group of Experts, wise (wo)m(e)(a)n group, whatever 🙂 report is very disappointing. Nations lost more than a year refraining from a real debate, waiting for an analysis and recommendations report which are already done in a plenty of internal, external, official and unofficial, academic or not docs. Have a look at the final declarations issued in the last years. The report failed to frame the debate, many nations will fight the report which by the way is not productive for the final negotiation and we will lose the opportunity to find solutions or to strike a balance among many issues which are affecting the cohesion of the Alliance. I wish you good luck in your laborious endeavor, personally I still wonder if we are not wasting our time and energy with this…out-of-the-blue… call it how you like it. @ Semanticus – Thanks for the comment. Well to tell you the truth this report is pretty boring and it took me a while to understand some of its conclusions. You are basically right: whether this is a preview of the new strategic concept or just some ideas put on paper before the negotiations between member states begin – is really a lot of work for almost nothing. I really can’t discern the shape of things to come from this document. Is this the last strategic concept? Probably. Does it lack a great idea – such as „massive retaliation” or „flexible response”?Oh yes! Anyway next week I’ll publish the second installment and start working on the conclusions.